It’s time for colleges to cut costs. Hasn’t this been obvious for the last 10 or 20 years? (See my 2005 article, “Lean in Higher Education“). 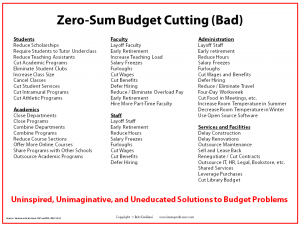 In his 26 May 2017 article in The Washington Post, “Forget the marketing gimmicks: It’s time for colleges to cut costs,” Selingo offers several ideas ranging from the obvious to the inane, none of which result in significant savings. 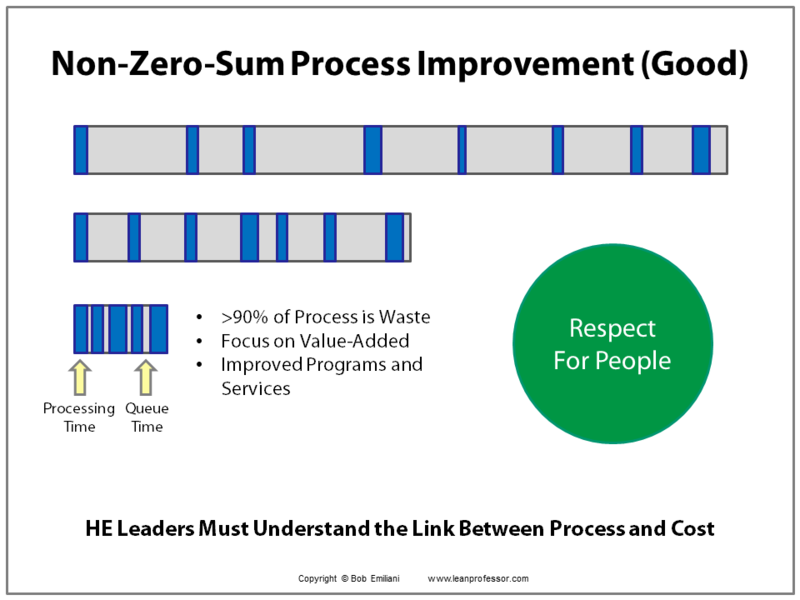 Given the rapidly deteriorating situation, university leaders would be wise to take an immediate interest in Lean management and kaizen. Maybe that will be Jeffrey J. Selingo’s new thought in 2027 or 2037. I believe that within my lifetime, the cost of college is going to decrease exponentially. We are at a period now where college is almost a necessity, so they can continue to increase their prices and students will continue to attend. Someday soon, someone will find a way around it, and it will become popular. This will force colleges to either innovate, or start to lose money. The way they can combat that new idea is with lean. Any college student or professor can tell you that there is a significant amount of waste, both in time and resources, that occurs in colleges. If they want to continue to draw in students, they will have to decrease the tuition. 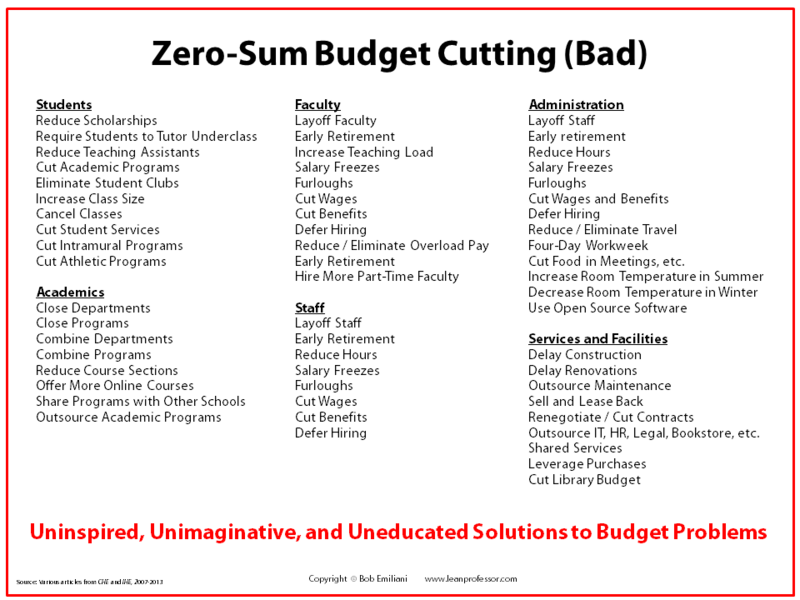 Cutting costs would be easy at the beginning, and if colleges adopted lean methodologies, they would be able to drastically decrease tuition while still being able to maintain their profits. 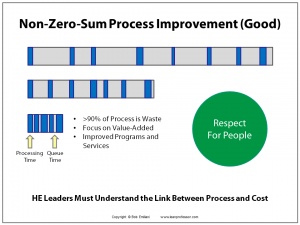 Yes, I agree that Lean offers great potential to reduce costs, improve quality, etc., in higher education — both academic and administrative work. Please have a look at my books on this topic, Lean University and Lean Teaching.